The Windy Gap Firming Project (WGFP) is a proposed water development project that would divert an additional 9,000 acre-feet per year of from the Colorado River on the western slope in Grand County, Colorado to Colorado’s sprawling Front Range and dirty energy industries. 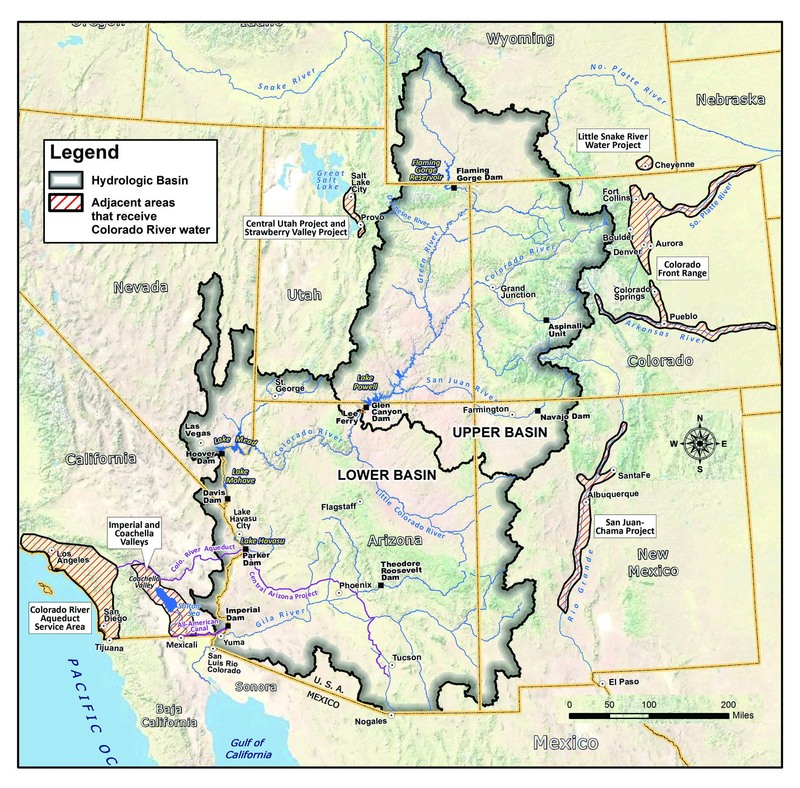 The flow of the Colorado River has already been diminished by 60 percent in this area. Increased diversions from the Colorado River will impact endangered fish species and the state’s outdoor recreation economy. The project will divert a large amount of Colorado River water to the largest source of pollution in Northern Colorado, a coal fired power plant, while some of the cities who will receive water from the project like Greeley are currently selling large amounts of water to the oil and gas industry for fracking. The Northern Colorado Water Conservancy District (NCWCD) claims the existing Windy Gap Project infrastructure is unable to deliver enough water to users because of limited storage capacity in Granby Reservoir and limited delivery capacity of the Adams Tunnel, which delivers water from Grand Lake to the East Slope. The proposed Windy Gap Firming Project would include the construction of a new 90,000 acre-feet (AF) Chimney Hollow Reservoir and a new pipeline connection from the reservoir to existing East Slope infrastructure. Approval for the project was granted in 2017 by the Bureau of Reclamation. A coalition of environmental organizations, including Living Rivers, Save the Colorado, Waterkeeper Alliance, and others issued a lawsuit in 2017 contending that the review of the proposed project by the Bureau of Reclamation and the Army Corps of Engineers under the National Environmental Policy Act was flawed and that the resulting approvals should be overturned. The lawsuit is ongoing. Front Range water group pushes back project that would pull from Colorado River, citing lawsuit by Brent Gardner-Smith, Aspen Times, (Aug 2018). CWCB approves $90 million loan for Windy Gap project by Brent Gardner-Smith, Aspen Times, (Nov. 22, 2016). Click here to see the Final Environmental Impact Statement.